Detachable tablets are gaining traction in the enterprise as traditional slate tablets and PCs dip in popularity. Most major hardware manufacturers offer some type of hybrid tablet and even Apple and Samsung jumped into the hybrid game with the iPad Pro and the Tab Pro S, which both do decent impressions of a laptop. Meanwhile, other devices, like the Microsoft Surface or Lenovo Yoga devices have offered a 2-in-1 experience for years. These hybrids certainly aren't a passing fad. 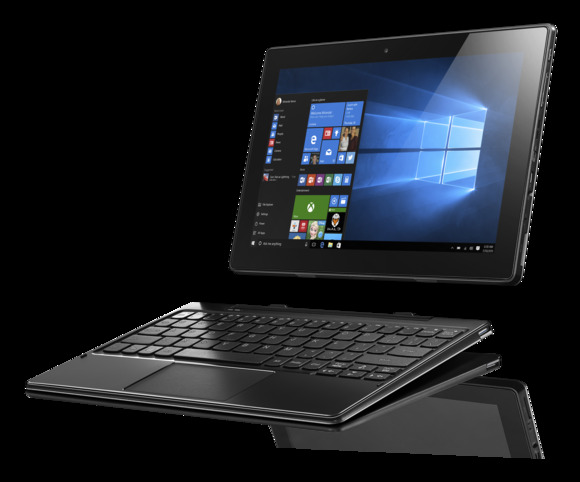 Earlier this month, IDC reported that in Q4 of 2015, shipments for detachable tablets reached 8.1 million, which was an all-time high, while slate tablets continued to decline. Similarly, an earlier report from IDC in December notes the drop in tablet sales as detachables rise, noting more businesses transitioning to these hybrid devices during the buying cycle. IDC points to a growth in enterprise use of detachable devices, as more people view them as legitimate replacements for a laptop. The study found that consumers and businesses seemed less concerned with the price of tablets and detachables and more motivated by performance, with the more powerful Microsoft Surface Pro 4 outselling the less expensive Surface 3. However, the winner was Apple, which sold an estimated 2 million iPad Pros in Q4, while Microsoft sold approximately 1.6 million Surface devices, according to IDC. Nate Ulery is the senior director of Performance Services at West Monroe Partners, a business and technology consulting firmWhile Ulery says he has witnessed a rise in the popularity of hybrid devices at the companies he consults with, he emphasizes the importance of defining an effective use case for hybrid devices. While some hybrids get deployed to "executives who want the coolest new toy," he says, the biggest demand for these devices is in industries like healthcare and with sales professionals, where workers are on the move. In healthcare, he says doctors and nurses often use tablets to view medical images with patients or to input medical record information using the hybrid's keyboard. Sales reps across a number of industries have also discovered that hybrid devices are easy to tote around for entering sales orders with customers in a moment's notice. Deciding on the type of device to deploy in an organization relies heavily on the ways it will be used day to day. Ulery says he has worked with companies across nearly every industry to help deploy these devices or create software and applications to suit the business' needs. "We helped two healthcare organizations deploy Microsoft Surface devices, and with both we spent a fair amount of time defining the requirements and implementing software to support the healthcare workers at the hospital so they could efficiently and effectively use the device in tablet mode." Randy McGraw, senior vice president of Technical Operations, West Unified Communications Services also attributes the adoption of detachables in the enterprise to a rise in remote workers as working from home has become the norm for many employees. "The idea that someone has to be present to be part of a team is definitely subsiding as we see the ability to collaborate virtually become more effective, efficient and deliver a good experience." Devices that are easy to travel with offer the flexibility for the new norm - where workers might spend some days in the office and some at home. He also says the increase in millennial workers will spur a stronger investment in hybrids. "The idea of providing devices that allow for an employee to be productive in/out of the traditional work environment will continue to be critical as the millennial workers continue to propagate the ranks." McGraw, like Ulery, says one of the fringe benefits of adoption is perception, meaning it shows your business is dedicated to growing and changing with technology, which he says can also help bring in and retain millennials. Whatever the reason companies decide to adopt hybrids, Ulery says there needs to be a use case to support to transition. "As a business leader, the benefit is only where there is a unique business case on how the device improves productivity or the customer experience. Without that use case that truly benefits from the hybrid form factor, the device is simply a slightly more expensive laptop," says Ulery.